A subterranean gym at Lansdowne Park has been forced to close after a raucous Friday night concert nearby sent ceiling tiles crashing to the floor. GoodLife Fitness reopened on Monday, April 4, 2016. 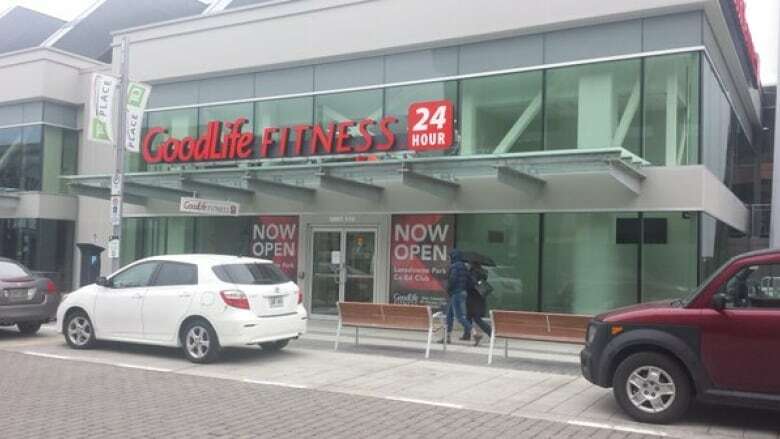 GoodLife Fitness Centre, located underneath the arena at TD Place, posted a notice on its door that stated "unforeseen circumstances" had forced the gym to close "until further notice." No one was in the gym when the tiles fell. The cause of the damage was the Twenty One Pilots concert held at TD Place on Friday night, according to Randy Burgess, vice-president of communications for Ottawa Sports and Entertainment Group (OSEG). OSEG manages the stadium and oversees the CFL's Ottawa Redblacks and Ottawa Fury FC, both of which play there. "It's kind of like if you had all of your friends and neighbours over to your living room and they're all jumping up and down," Burgess told CBC News on Saturday. "If you have a drop ceiling in the basement, you might lose a tile or two. And that's basically what happened." According to TD Place's Twitter account, at least 900 people crowded the dance floor during the show by the popular Columbus, Ohio alternative hip-hop duo. The band, known for its song "Stressed Out," was in Ottawa as part of a tour supporting its fourth album Blurryface. Michelle Liddiard was one of dozens of gym-goers who showed up Saturday morning to find the closure note posted to the door. "It's just really disappointing," Liddiard said. "I'm sure the club manager isn't happy about it either." 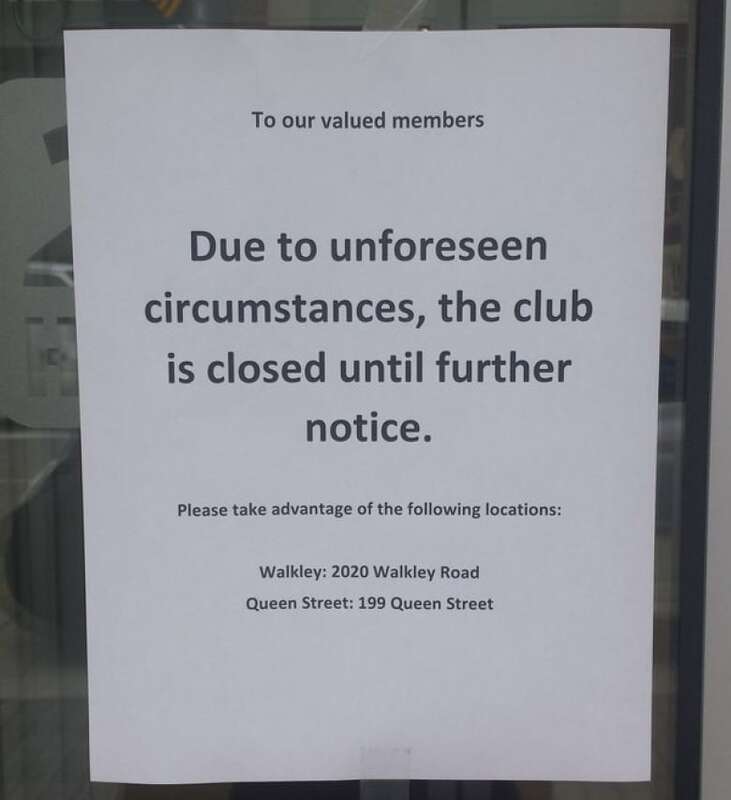 In an email, a GoodLife spokesperson said the club would be closed all weekend as they perform repairs and "complete a thorough investigation" into what happened. The ceiling collapse comes as OSEG is suing a handful of contractors for more than $6 million over broken contracts and negligence the ownership group claims occurred during the revitalization of Lansdowne Park. Cannon Design, however, was also in charge of converting exhibition space below the stadium into a new retail location — now home to GoodLife Fitness. Burgess would not comment Saturday on the lawsuit.